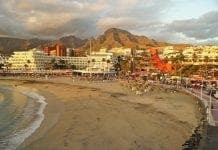 BRITISH tourists could be exempt from paying ‘VAT’ in the Canary Islands in a bid to battle Brexit. President of the Spanish islands Fernando Clavijo said the measure would make the Canaries more competitive and help them achieve ‘better results’. The archipelago of eight islands would be classed as an ‘an outermost region’ under a new agreement benefiting holidaymakers. Lanzarote, Gran Canaria and Tenerife, are among the places that currently charge tourists for some products and services, like restaurant bills, under the ‘Canary Indirect General Tax’ (IGIC). 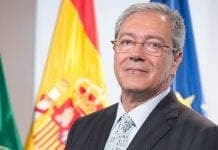 The Canaries do not have actual VAT, instead adopting the similarly wide-ranging IGIC tax, which Clavijo admitted could be scrapped to entice visitors after Brexit. 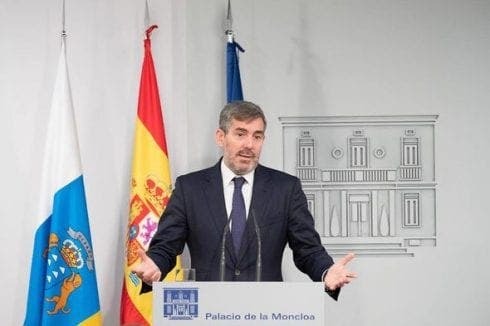 The President said Canary Island residents had to go ‘hand in hand’ to stave off the negative effects on the pound that Brexit will bring. He said that the changes would lead to better pay, employment and conditions in the islands. Around 16 million tourists flocked to the Canaries in 2017, with Brits consistently being the largest group of holidaymakers in the area. Yet another case where Brexit might not be quite as bad as project fear said it would.